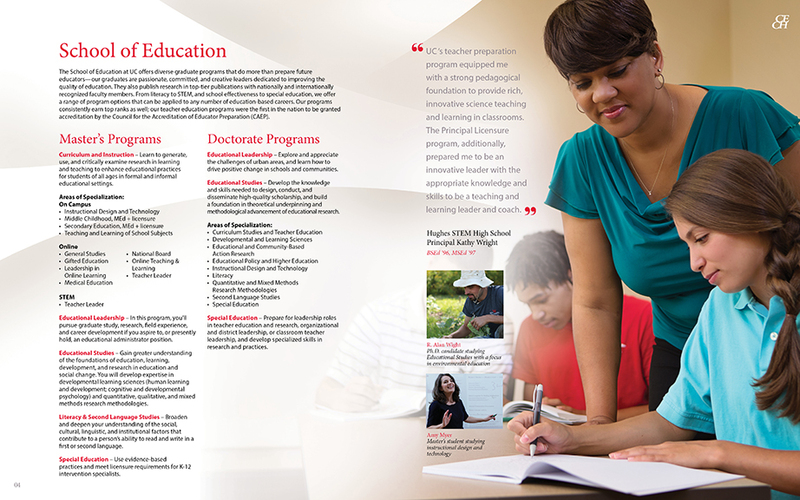 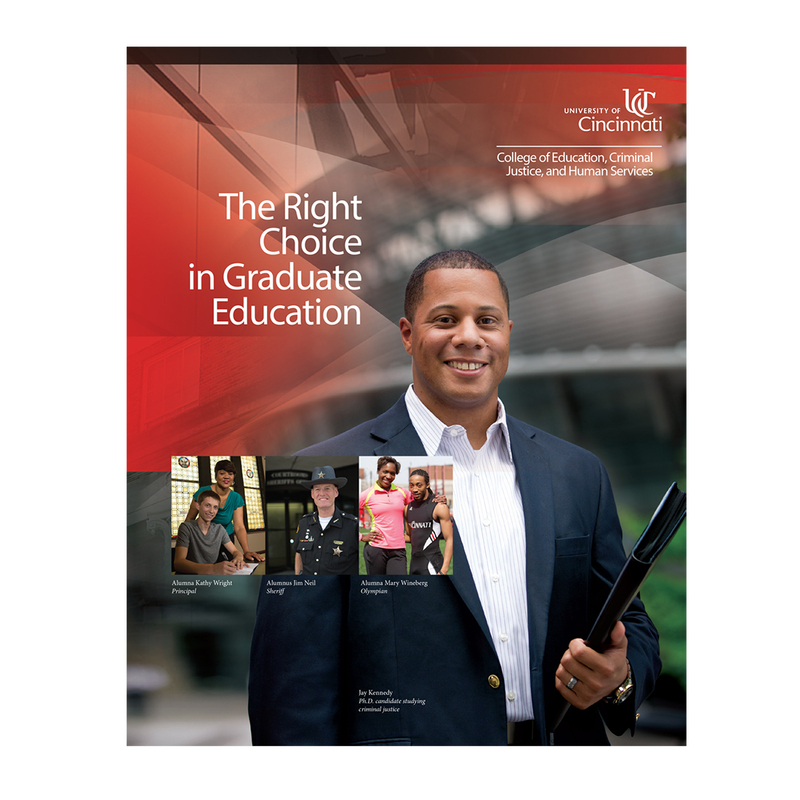 The brochure provides an overall view of the graduate programs at the College of Education, Criminal Justice, and Human Services (CECH) at the University of Cincinnati. 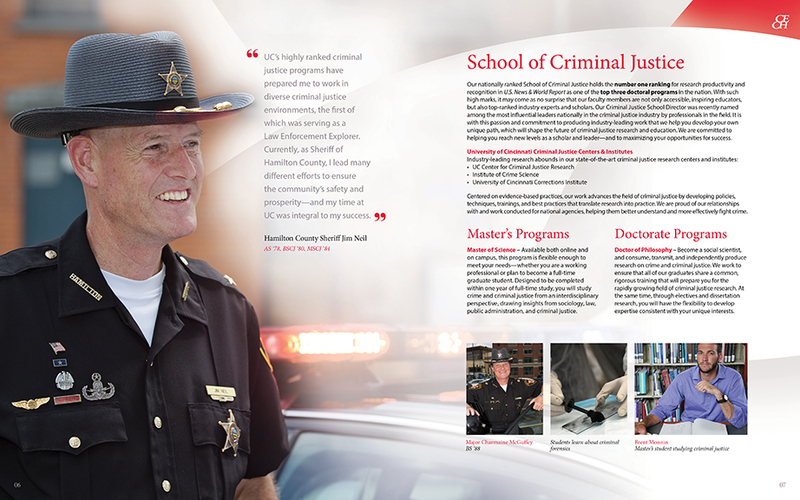 Each area of study was introduced and represented with an establishing photo that also served as a testimonial. 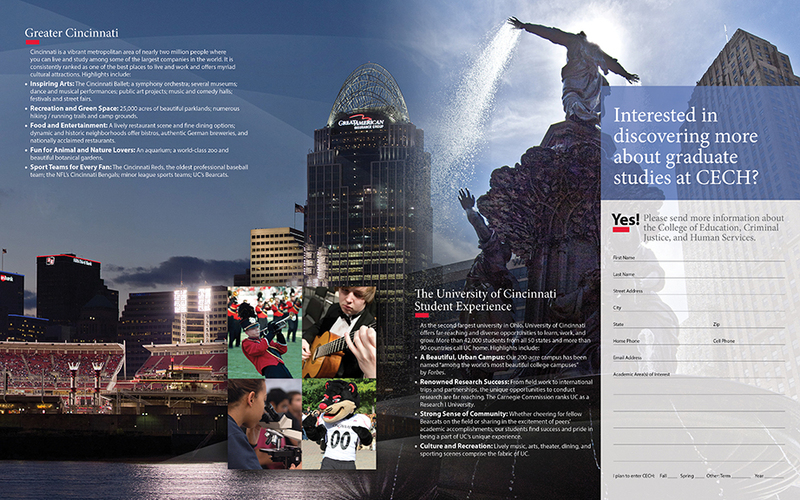 The backgrounds faded into the white of the paper using arcs derived from the University of Cincinnati (UC) symbol as a visual element of identity and as a transitional device on the page.